This week Megan combined her work with our work with women on ART treatment. We will be testing them with VIAC (visual inspection Analysis of Cervix) to assess cervical changes that could easily be cancer and also she will be doing cytology on those patients as well as testing menstrual pads for viral loads. 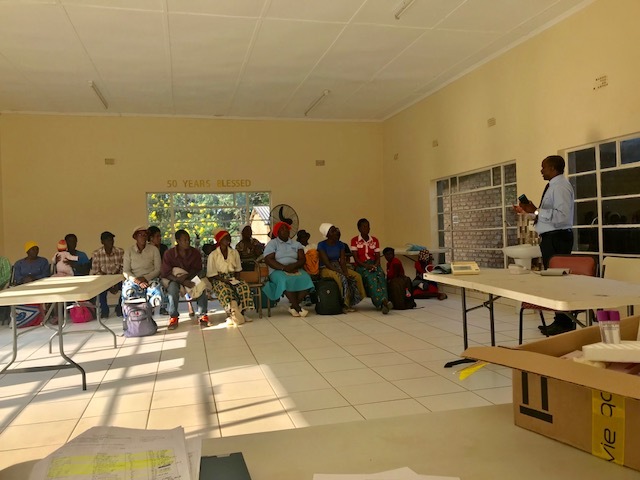 On Mondays we draw viral loads on HIV patients so we had a support meeting and Megan and her research assistants then explained their program to the women. They were very excited to have this service offered to them. We hope we can stop cervical cancer before it gets too far along in these high risk patients. On Wednesday Nikki, Justin and son Noah Hess joined us for 3 days. 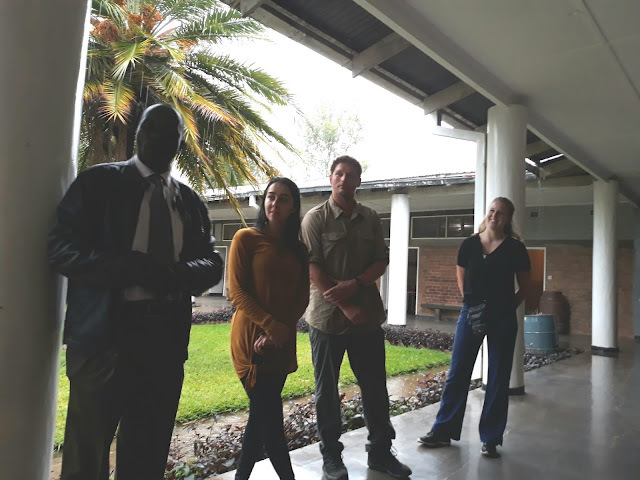 They represent ZRSP (Zimbabwe Rural Schools Program) that have been working with Major for several years to build and develop schools in our area. They have built school blocks at Kemapondo and Batanai and have build new schools at Mukowe and Davare. They have provided everything from boreholes for water at the school to school desks, teachers housing and pens and exercise books for the children. They have been so helpful. We have used these new schools as church buildings in our area and have built up big churches in these places. They came to visit their projects and look at a new site and decide priorities for the next year. We had a great time with them. They live in South Africa now but are Zimbabweans who grew up in Harare. They actually live right down the street from Michael, Major's son who is in University in South Africa. He enjoys meals at their house a lot--when they can afford to feed the hungry college student! We are thankful for their friendship and great help through their organization to our schools in our area. Megan went home to Harare on Thursday so have a couple of days by myself to catch up on some paperwork and housework. I am feeling much better and have more energy finally. We haven't had rain for a about 8 days so we are wondering if this is the end of the rainy season a bit early. Already we are seeing an increase in malaria cases which come when the rains stop. We pray it will not be a bad year for malaria. We still have a few cases of typhoid a week--up to 195 cases we have treated since December. We want to invite anyone that reads this to plan on coming for our 50th anniversary celebration in January 2018. Please save the date and join us. Contact me if you have not received an invitation. This is something very appreciable and share worthy. I would like to share it with my friend and family. you wrote the article in such a user-friendly and compact way. Greetings!